This kind of look is pretty much a staple for me at this time of year; culottes and a lightweight coat or jacket make the perfect winter-to-spring transitional outfit. 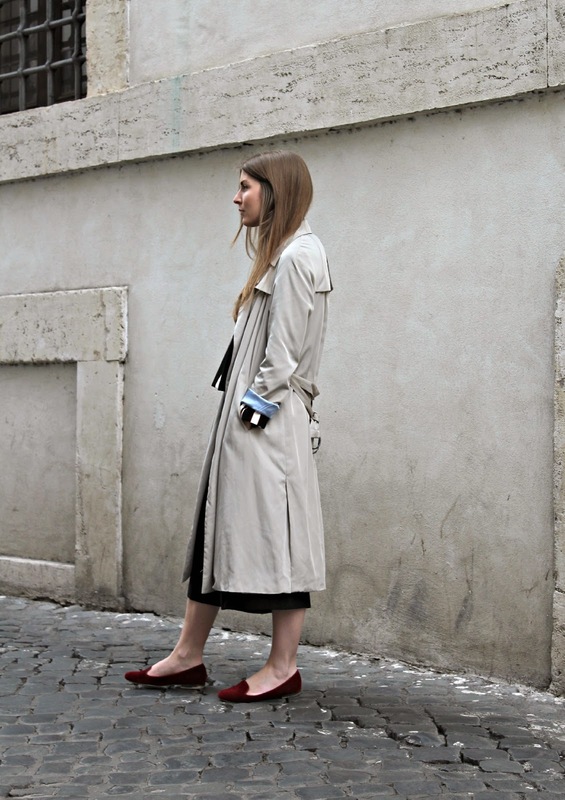 This is another outfit I wore in Rome a few weeks ago (see my travel post here) and it ended up being the perfect thing to wear for walking around the city. You look SO fab! 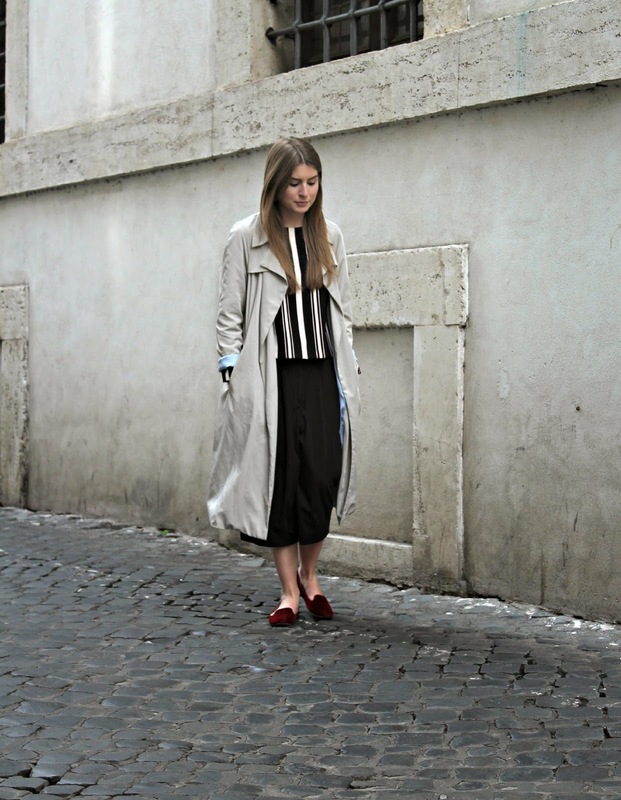 The culottes looks amaazing with the trench! 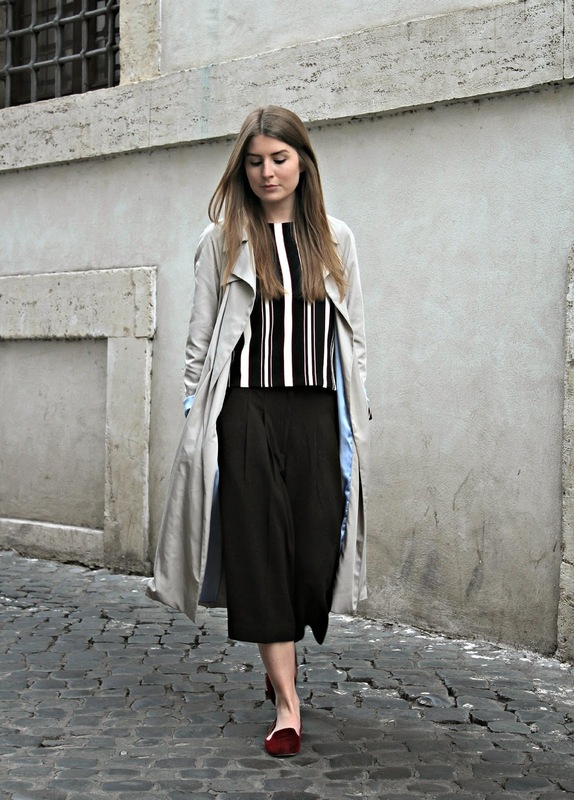 love the striped top and the culottes! nice look! Lovely Outfit! 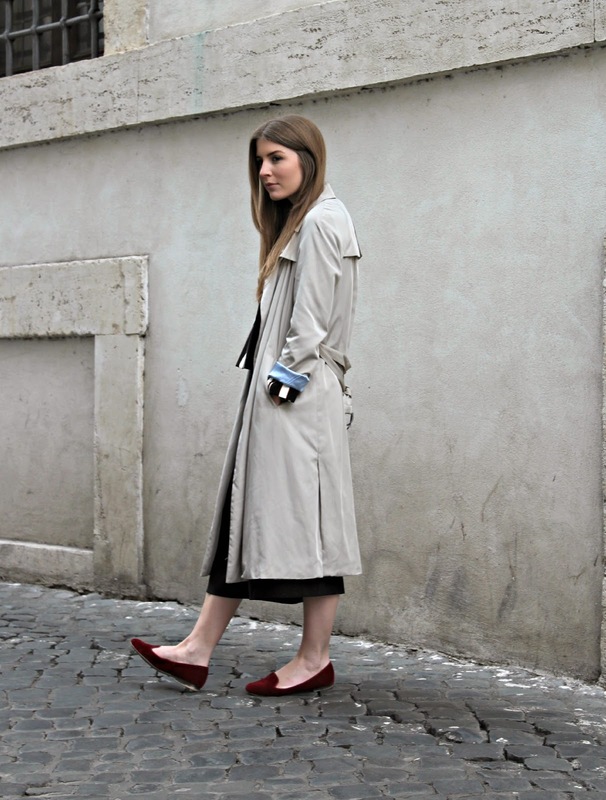 Like the Trench!